First coffee capsule compostable at home - Pzwei. Pressearbeit. 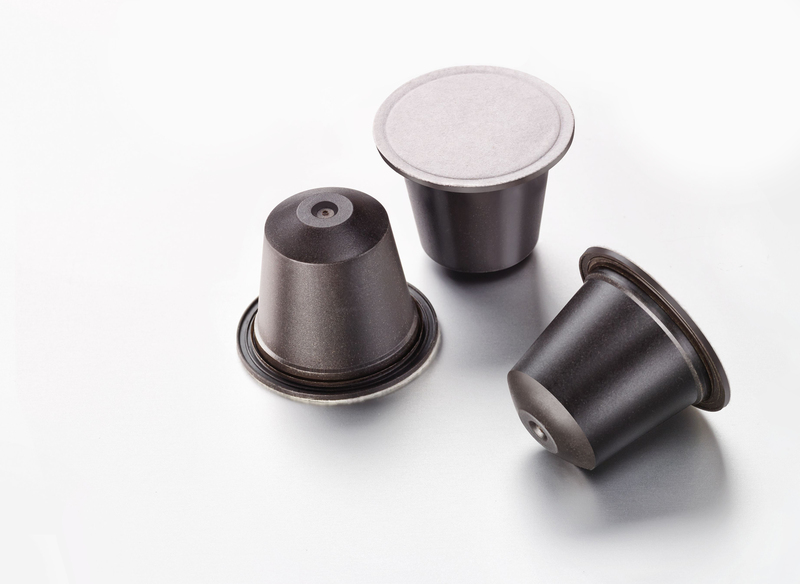 Hard, 15 October 2018 – In coope­ra­tion with Golden Com­pound, the inter­na­tio­nally active packa­ging manu­fac­turer ALPLA is brin­ging a world first onto the market: a bio­de­grad­able coffee cap­sule that con­su­mers can dis­pose of in their home com­post. 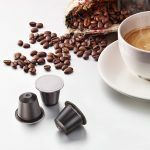 Tog­e­ther with mate­rials manu­fac­turer Golden Com­pound, ALPLA has deve­loped a market‐ready coffee cap­sule that envi­ron­ment­ally aware con­su­mers can use with a clear con­sci­ence. The cap­sule is made from the mate­rial Golden Com­pound green. This com­prises an orga­ni­cally based mate­rial and ground natural fibres from sun­flower seed shells. The cap­sule and filter fleece are com­ple­tely bio­de­grad­able in the garden com­post within a maximum of six months, and are free from alu­mi­nium and gene­ti­cally modi­fied orga­nisms. ALPLA pro­vides its custo­mers with the cap­sule and the garden‐compostable lid. The first user in the world is Amann Kaffee from Vor­arl­berg, Aus­tria. 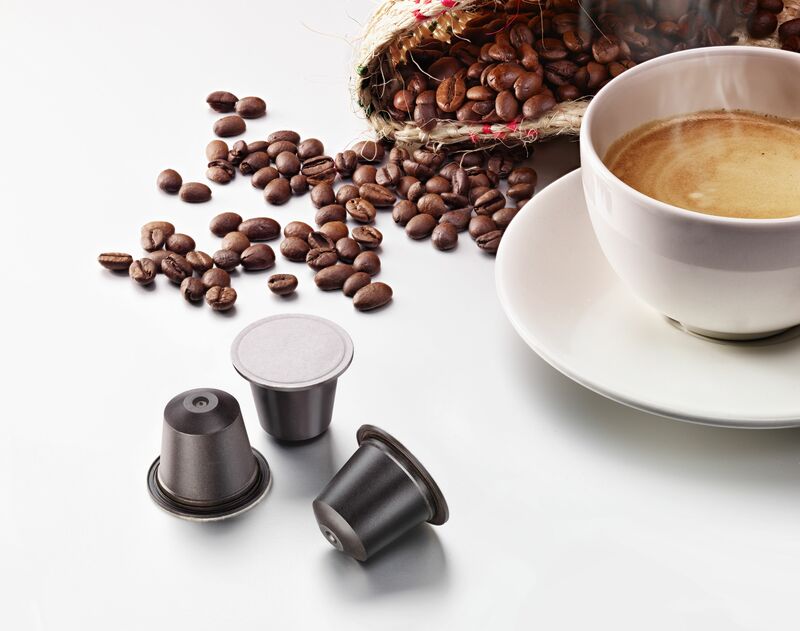 The coffee roaster is pre­sen­ting the new pro­duct as part of the ‘Gustav – fair for con­sumer cul­ture’ trade fair in the Dorn­birn trade fair district from 19 to 21 October. Golden Com­pound will also be rep­re­sented at the industry trade fair Fakuma in Fried­richs­hafen (Hall B4, Booth 4114) from 16 October. Golden Com­pound uses sun­flower seed shells as a rein­for­cing mate­rial. They are a by‐product of the food industry and not in com­pe­ti­tion with food pro­duc­tion. In this way, Golden Com­pound green pro­tects fossil resources and reduces the carbon foot­print. Com­pos­ting the cap­sule gene­rates humus, and the coffee grounds con­tain valu­able plant nut­ri­ents such as pot­as­sium, phos­phorus and nitrogen. The mate­rial also has excel­lent cha­rac­te­ris­tics, as con­firmed by nume­rous cer­ti­fi­cates: the oxygen bar­rier is very much com­pa­rable with con­ven­tional plastics such as PP‐EVOH‐PP. 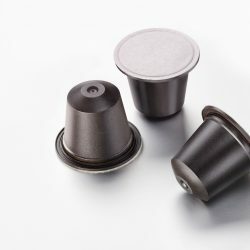 The mono­layer coffee cap­sule is thus aroma‐proof wit­hout outer packa­ging. Fur­ther­more, Golden Com­pound green is cer­ti­fied in line with the stan­dards ‘OK com­post HOME’ and ‘OK bio­de­grad­able SOIL’ from TÜV. Golden Compound has been developing and producing innovative materials with up to 70% ground natural fibres from sunflower seed shells since 2014. The sunflower seed shells are a by-product of the food industry. The company from Ladbergen is thus relying on an existing, high-quality, entirely harmless and transparent supply chain. The natural fibre is not in competition with areas of agricultural use. The Golden Compound material spectrum ranges from the long-lasting material ‘Golden Compound pro’ to ‘Golden Compound green’, which can be composted at home. Golden Compound considers itself an initiative in which everyone who wants to be sustainably successful can participate.